As is usual with undergraduate degrees, I need to do 24 units of study. I’ve just finished the 18th and start Documentary Screenwriting next week. So at the end of next year, I’ll only have one unit left! The last unit will be an independent project, so I need to start thinking very seriously about what I want to do. Because my degree will cover two major streams, I can do something writerly and creative – like a suite of short stories or poems – or a scholarly screen studies project – perhaps an analysis of a particular director or suite of films. Also, other students I’ve chatted with, managed to get placements in organisations or private businesses to do specific research, but I’m not sure if there’s anyone in Hobart I could do that with!?! Time to contact my course convener I think, and have a serious talk about my project! Have a great Friday, I’ll see you all tomorrow. 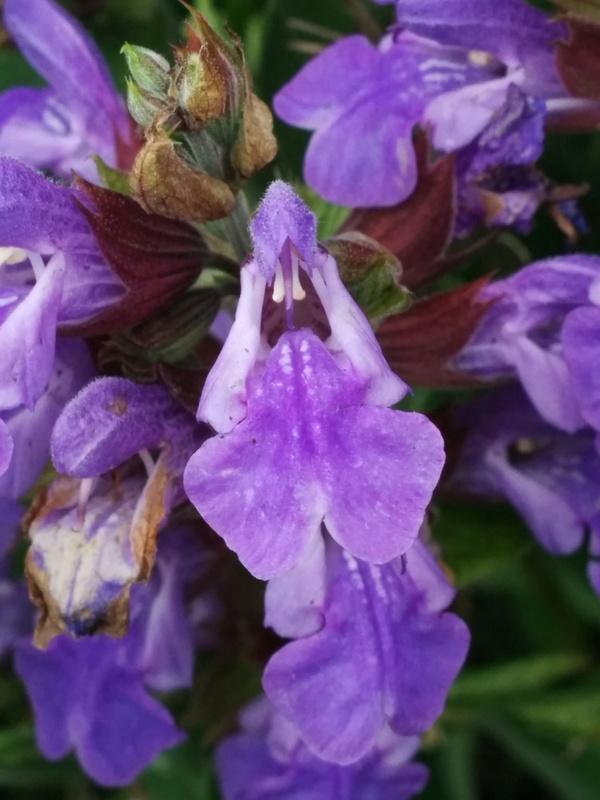 Sage flowers – for wisdom!